I´m not a big fan of cómics, I mean, I like them, but I´m not used to read them, also Black Widow is probably not my favorite Avenger´s character, but the cover of the book just caught my attention xD and I was thinking about which book would be the first that I would like read this year and I thought about it over and over again till I finally decided to read this book. I didn´t know much about the book, just that it was about Black Widow, or at least that is what I thought, because I was wrong, and you should know it, mostly if you are a big fan of Black Widow and want to read this book, you shouldn't expect that she will be the main character; and I say it because I´ve seen some people who didn´t like this because the title is "Black Widow" and we can see the POV of Natasha, but it is narrated mostly by this girl named Ava Orlova (she was rescued 8 years ago by Black Widow) and Alex Manor (literally Ava´s dreamed boy). 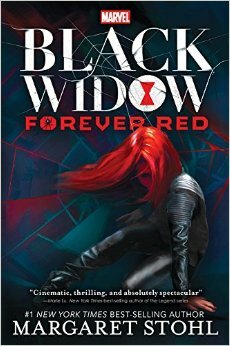 We don´t see much about Natasha´s past and I think you should know it, because, at least in my case, I was kind of disappointed because when I picked up this book I was expecting to know more about Black Widow and it didn´t happen but still the book was great! I was caught in the story at the very beginning, which starts with Ava being rescued, from there a lot of things happen, it is a very interesting book and keep you wanting to know why some things happen in the book. When I found out what was happening I wasn´t impressed but still it didn´t disappoint me. Black Widow was a character that I didn´t know much about, but I like her, she´s just an incredible woman, dangerous, cold and sarcastic but who has suffered too much, her childhood wasn´t easy and because of that I think her nature is justified, regardless she´s a person with feelings and fears like anyone and I liked to see that. I didn´t like Ava´s character too much but I didn´t hate her either. 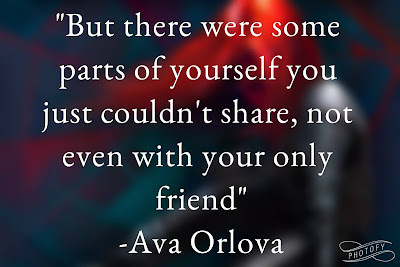 Concerning Alex, I found hard to believe his love for Ava, he had just met her a couple of days ago ._. but It didn´t bother me, because the romance was the least I cared. This 3 characters are connected in a weird way with each other even when it didn´t seem that way in the beginning. I really enjoyed the book, it was fast paced, action packed and very intriguing; I just felt like I was reading a comic or watching a movie. So, basically I finished the book yesterday and I don´t know what should I feel, I was happily reading, finding out things and then the ending came and even though I was expecting it I didn´t think it would happen, I was like: "no way! really?? "; I don´t know if it was necessary to the story, it was an emotional ending. Apparently this book is gonna be part of a trilogy or series, I don´t know yet but I´m planning to read the following books because I´m quite interested in learning more about Ava after the ending of this book. I don´t know what else can I say, this is the first Maragaret´s book that I read and I applaud her the fact that I couldn´t stop reading, I wanted to know what was going to happen, I do recommend this book. I was a little scared when I started the book because I wanted to enjoy it, because since the last year one of my thoughts is: There´s nothing better than starting the year with a book that you really enjoyed! and fortunately my first reading in this year was great! Have you read the book? what were your thoughts? How are your readings going? let me know it in the coments below and if you want you can also recommend me a book. I will be glad to read your comments.